Each luxury wedding is as individual as the couple we are celebrating. Whether you choose to have an intimate celebration in your own home, or a luxury wedding in a lavish location, we will ensure your wedding day is everything you wish for and more. From the finest cuisine and drinks, handcrafted invites, floristry and entertainment, to the sweet individual touches that bring personality to your special day. Whatever your taste, we make it our mission to create exceptional moments that take your breath away. We work with the best in the business. Let us provide the fabulous florals, entertainment, delicious nibbles and more. Even better, talented photographers, that will capture memories you can keep forever. We’ve got it covered. Although based in Manchester, our business reaches worldwide. We produce seamless destination weddings with the most incredible backdrops. You can rely on our team to intricately handle every aspect of celebrating overseas. Committed to wedding equality, we take great pride in producing meaningful celebrations for couples across any faith (or none), gender or cultural background. Looking to host a corporate event? 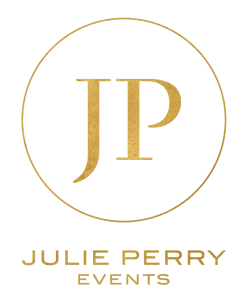 email: info@julieperryevents.com for more information.